Forget about medical cannabis. Forget about recreational cannabis. Because while these two categories cover a wide swath of the overall market, cannabis is quickly becoming a part of the lucrative wellness industry – a space that is quite distinct from recreational and medical usage. “Wellness” is about making choices to improve the overall quality of one’s life. It’s not just about being free from illness; it’s about making sure that one’s body and mind are operating at optimum levels. Here are five trends to follow as cannabis enters the wellness industry. Cannabis is typically — or stereotypically — considered to be a male-dominated market – both in terms of industry leaders and customers. But that trend is changing drastically. A new survey by Cannabis Consumers Coalition found that the number of women using cannabis is on the rise and that just as many women use cannabis as men. Furthermore, a survey conducted by BDS Analytics found that 40% of female cannabis consumers use the plant as a natural remedy to help manage menopause, menstrual pain, and mental health issues. Given that women drive 70% -80% of all purchasing decisions, and that the wellness industry is largely dominated by women — both in terms of innovators, business leaders, and practitioners — cannabis companies that want a piece of the wellness market should focus on brands and messaging that appeal to women of all ages. CBD, the non-psychoactive cannabinoid found in the cannabis plant, has already become the darling of the wellness industry. Chances are you’ve already hopped on the CBD bandwagon, but if not, we strongly suggest you get a ticket A-SAP. Cannabis research firm Greenwave Advisors expects that the CBD market will be worth $3 billion by 2021. And if the Farm Bill, currently under consideration by Congress, gets passed, that number could eventually grow to over $200 billion. Why is CBD so popular? It doesn’t make people feel “high,” yet it’s still proven to be effective at fighting pain, inflammation, skin disorders, anxiety, and seizures – and that’s just the short list of potentially treatable illnesses. Plus, the FDA recently approved the use of CBD for treating epilepsy, giving this cannabinoid a much-needed boost in legitimacy. “Cannabis Cola”…brought to you by Coca-Cola??? It’s not as far-fetched as it sounds. Coca-Cola is reportedly keeping a close on the cannabis beverage market, particularly CBD-infused drinks. They’ve admitted that “this space is evolving quickly,” but they haven’t made any definitive moves as of yet. Don’t expect them to remain on the sidelines for too long. According to financial services firm Canaccord Genuity, cannabis-infused beverages could be a $600 million industry by 2022, with CBD-infused beverages alone making up $260 million. Cannabis spas are already a reality in Colorado. And the City of Las Vegas is currently considering whether or not to allow cannabis lounges to operate within city limits – a move which would also give the green light to cannabis spas as well. Lotions. Balms. Oils. Just add some THC and CBD to these types of skin care products and you’re now looking at a major force in the beauty and wellness market. THC and CBD are renowned for their antioxidant and anti-inflammatory properties, which can help prevent skin damage and accelerate the skin healing process. Customers can expect to be treated with cannabis topicals during their spa visit, but depending on which U.S. state the spa is operating in, it may not be legally permitted to sell THC-infused products directly to the customer. Given these types of regulations, one can foresee potential synergistic partnerships between cannabis topicals brands, spas, and dispensaries! 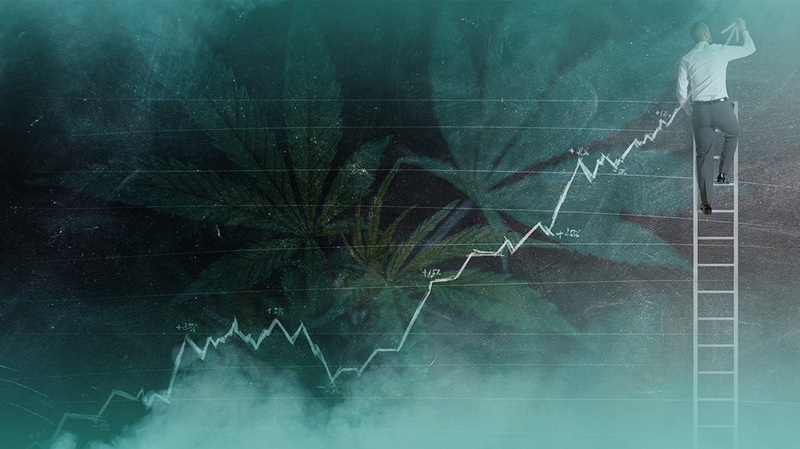 Need help staying on top of the latest developing cannabis trends? Give us a call at (702)-600-9687 or email us at hello@hazymarketing for a free consultation!